World Help has been diligently working to prepare a container filled with humanitarian aid supplies that will benefit hundreds of needy families in Guatemala. These resources will eventually be distributed by our faithful national partner, who meets the physical and spiritual needs of people living in rural Guatemala. 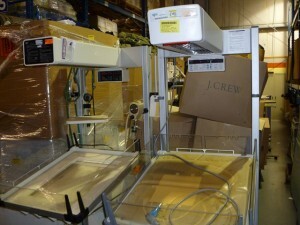 We’re excited to ship clothing, kitchen supplies, and medical equipment—valued at approximately $1 million! In addition to 1,000 articles of J. Crew clothing, we’re sending crucial medical equipment, such as examination chairs, hospital beds, stretchers, rehabilitation machines, and patient lifts to be specifically used in the Special-Needs Home,which is currently under construction and will care for children. In developing countries, there is limited access to necessary resources for children with special needs. This equipment will be instrumental in developing the lives of children with extreme health issues, and both physical and mental handicaps. The container also includes baby incubators for Operation Baby Rescue’s main treatment center where the health of thousands of children has been restored. Because severe malnutrition threatens 80 percent of children in rural Guatemala, Operation Baby Rescue works tirelessly to intervene in their lives and restore hope to their families. The container is one of many World Help shipments that are saving lives around the world. We’re thankful for the opportunity to distribute these kinds of humanitarian aid supplies . 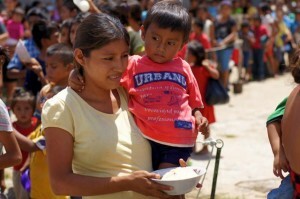 . . providing hope to thousands of Guatemalan families!